DredgeFest Great Lakes is a symposium, field expedition, and set of speculative design workshops about the human manipulation of sediments within this region. It is an encounter between government agencies, designers, theorists, academics, corporate practitioners, industry experts, students, and the public. DredgeFest Great Lakes runs August 14-21 2015 in Minnesota. DredgeFest Great Lakes is organized by the Dredge Research Collaborative and hosted by the University of Minnesota’s School of Architecture and Department of Landscape Architecture. DredgeFest is a roving conference and workshop series. This is the third DredgeFest. The first was held in New York and the second in Louisiana. Dredging is the linear industrial activity of uplifting sediments and transporting them to new locations. It is used to clear waterways, dig channels, clean polluted riverbeds, and change the course of rivers. We believe that dredging is a key component of a much wider cycle of human practices that accelerate, decelerate, transport, and materially alter sediments. Together, these activities constitute landscape architecture at continental scales. We are interested in how the full range of technologies, practices, and organizations operating within that wider cycle collectively alter sedimentary balances, both eroding and generating landscapes. DredgeFest begins with dredging, but DredgeFest is about much more than dredging. 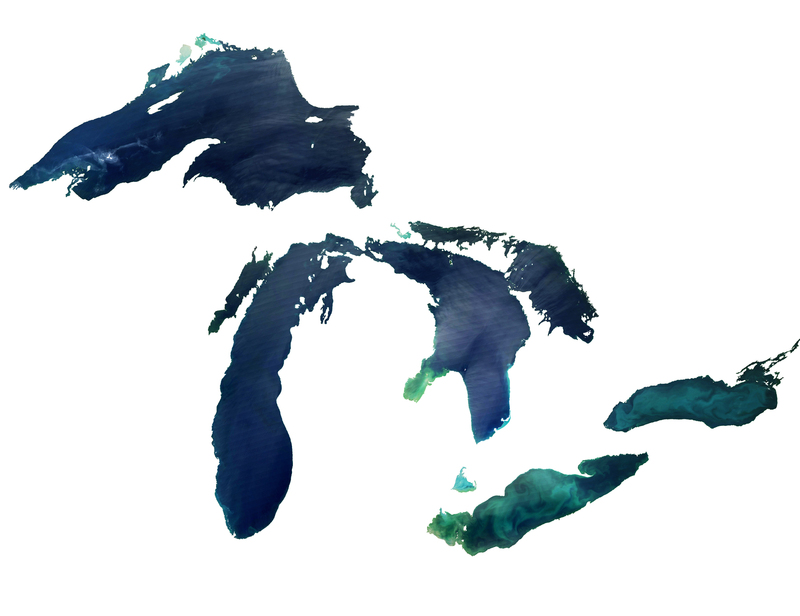 The Great Lakes basin is the largest source of freshwater in North America. At once landlocked and international, its lakes and landscapes have been extensively modified by human settlement and use. In a relatively short time period, the lakes’ shores, bathymetry, ecosystems, and water quality have all been significantly changed. These conditions have profound implications for the design, planning and management of regional landscapes, from industrial ports to wildlife areas. DredgeFest is organized around a theme and for The Great Lakes it centers on Shifting Baselines. “Shifting baseline” was introduced in landscape architect Ian McHarg’s famous manifesto Design With Nature. It has since become a key conceptual tool in environmental circles. In 1995, a paper by Daniel Pauly showed that fisheries experts tended to think in terms of the state of the environment at the beginnings of their career. Baselines shift as new generations grow up thinking that whatever they grew up with was natural, ignoring exactly how much things has already been changed before they were born. But ‘shifting’ needn’t be a passive verb. Baselines can be shifted with care and intent. For DredgeFest Great Lakes, we propose to think both about how baselines have been shifted and how they could be shifted in the future. DredgeFest will bring together practitioners and stakeholders from a range of groups deeply concerned about these issues and offer participants an opportunity to explore current conditions and potential futures of the region. Additional details are available on the Dredge Research Collaborative website, where you check for updates on the event. Tickets will be on sale shortly. We are currently offering a discount to everyone who pre-registers. Click here to reserve spots at pre-registration pricing. Hope to see you there.